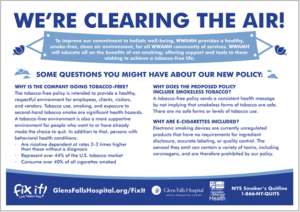 We are proud to announce that effective 7/1, in collaboration with the Health Promotion Center at Glens Falls Hospital, our program sites and residential properties will be going 100% tobacco free! 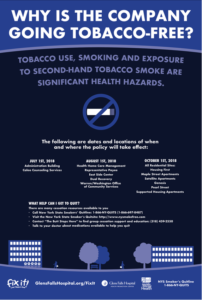 This change will take place over several months, starting at our Administrative offices and Caleo Counseling. Read more about it below! PreviousPrevious post:The 2017 Annual Report is here!